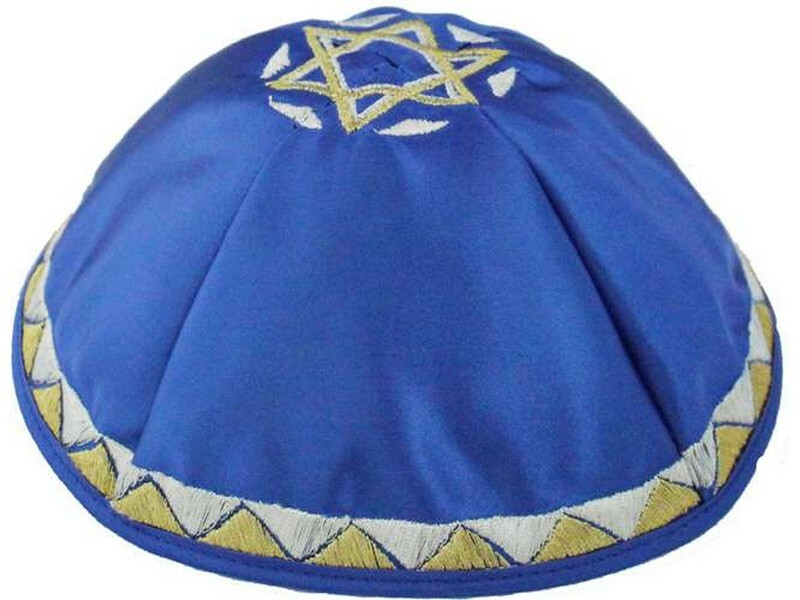 The four section royal blue satin kippah is embroidered triangles which encircle the bottom base of the kippah. The triangles are embroidered with gold and white colored thread, creating a beautiful border. The kippah also boasts a Star of David on the top center embroidered with gold and white thread.